Kathy joined the Financial Design Group team in 2014 and combines personal skills and the resources of the company to help each client realize and support their financial dream. Kathy specializes in financial advisory services, asset protection strategies, life insurance and annuities, retirement plan rollover strategies, investment management, asset allocation and risk management for individuals. Kathy is also a specialist in long-term care insurance. 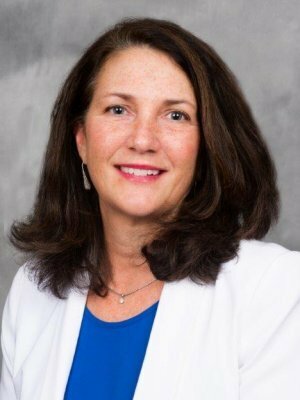 A graduate of Bowling Green State University, Kathy accomplished three years of medical school at Medical College of Ohio and has also completed post-graduate programs in business at the University of Toledo. Currently she holds Series 6, 7, 63, 66 registrations as well as CFP® , CASL®, and CLTC Designations. The Certified Financial Planner (CFP®) certification is recognized as one of the highest standards in personal financial planning. Kathy is a Registered Representative and Investment Advisor Representative of Securian Financial Services. Kathy and her husband John Pigott, MD reside in Sylvania, Ohio. They are the proud parents of three grown children and recently welcomed their first granddaughter. In addition to spending time with her family and friends, Kathy enjoys cooking, tennis and her new sport, golf. Financial Design Group (FDG) founded in 1995, specializes in the design and implementation of wealth creation and protection strategies. With extensive knowledge and background in financial services and estate planning, its associates apply this valuable experience and knowledge to the specialized needs of each client. This team-based approach adds an element of expertise and additional perspective which is vital and unique to the industry. You dream of creating a life you love. With Financial Design Group’s financial services and products, Kathy can help support your dreams of making excellent financial choices in a variety of situations throughout your lifetime. Kathy looks forward to turning your dreams into realities.